Chris Orr was born on 8 April 1943 in Islington, London. He studied at Ravensbourne College of Art from 1959 to 1963, Hornsey College of Art from 1963 to 1964 and the Royal College of Art, London from 1964 to 1967. He went on to teach part-time at Cardiff College of Art, Central St Martins, London and at the Royal College of Art, London. He was Professor and Head of the Printmaking Department at the Royal College of Art from 1998 to 2008. 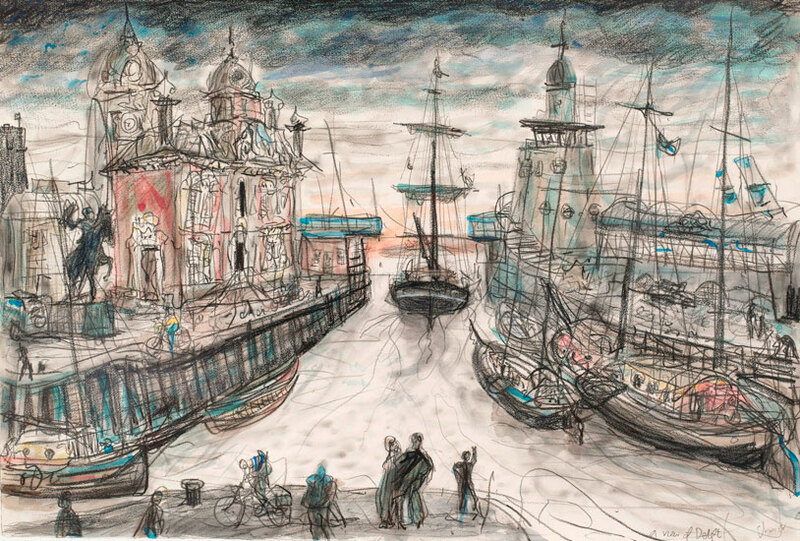 Chris Orr was made a fellow of the Royal College of Art in 1985, a Fellow of the Royal Society of Painter Printmakers in 1988 and a Royal Academician in 1995. He lives and works in Buckingham and London. In 2008 he was awarded an MBE for services to the arts and made a Senior Fellow of the Royal College. His work has been exhibited worldwide and is in the collections of the Victoria and Albert Museum, Royal Academy of Arts, Government Art Collection, Museum of London, Tate Gallery, National Portrait Gallery and the Arts Council. In a career of over 40 years, besides limited edition print publications and paintings, he has published 9 books. Most recently “The Multitude Diaries” features 238 drawings from his sketchbooks of the past 25 years. Drawing is the key to all of Chris Orr`s art.